The Chronocar by Steve Bellinger | Portraits of M.E. Last month I received an inquiry from author Steve Bellinger asking if I’d be interested in reading and reviewing his new book – The Chronocar. Upon reading the synopsis, I knew this would be a fun read so I agreed to review The Chronocar on my blog. When I received the book, I was surprised to see the author had signed it. It brought a smile to my face to see the signature since this was the first time an author had sent me a signed book…I really appreciated the personal touch Steve Bellinger added (thank you!). Included with the book was an information card giving a summary of the book. I took a picture to share with you all and I have included it in this post. You can click on the picture to see a larger version. 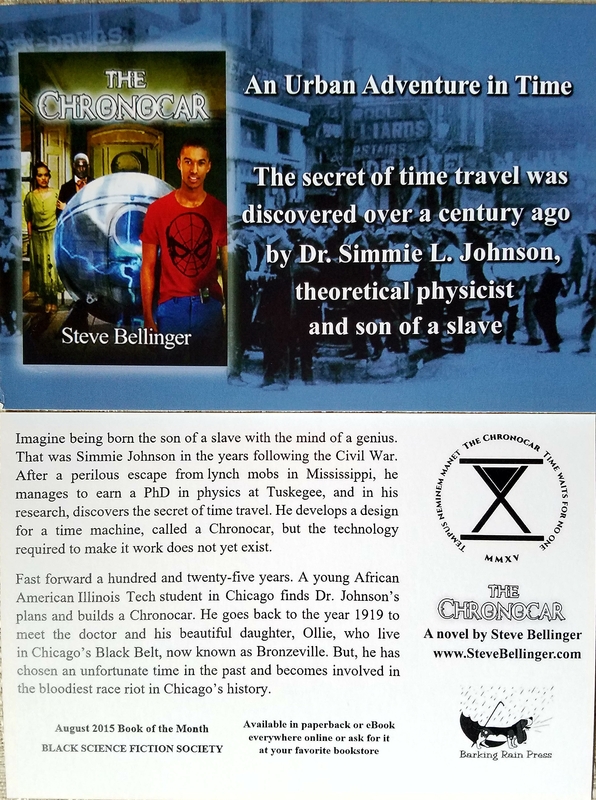 And if you are interested in learning more about The Chronocar or the author, please check out his website at http://stevebellinger.com. Now, I’m off to begin my journey through time upon The Chronocar…full speed ahead! Hi there! I never normally do this but I had to comment and tell you how much I adore your blog! I just came across it now and I am so happy I have, it is so wonderful and you truly have a great blog. I am going to follow you so I can keep up to date with all of your latest posts. Keep up the great work!